ABPA Golden Damper Awards Bush Poetry Performance Competition, (23-27 January) Tamworth, NSW. Association for the Study of Australian Literature Conference, (8-9 February) Darwin, NT. Australian Comic Arts Festival, (9-11 February) Canberra, ACT. Festival of the Photocopier and Zine Fair, (11 February) Melbourne, Vic. Banjo Paterson Australian Poetry Festival, (16-25 February) Orange, NSW. Perth Writers Festival (Part of Perth International Arts Festival), (23-25 February) Perth, WA. Woollahra Poets’ Picnic, (27 February) Sydney, NSW. Dunedoo Bush Poetry Festival, (1-4 March) Dunedoo, NSW. 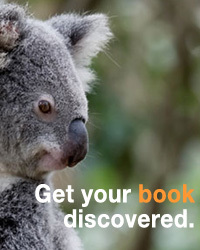 Adelaide Writers’ Week, (3-8 March) Adelaide, SA. Writing and Writers of Gippsland, (5-9 March) Paynesville, Vic. New Zealand Festival: Writers and Readers stream, (8-11 March) Wellington, NZ. Somerset Celebration of Literature, (14-16 March) Gold Coast, Qld. Melbourne Art Book Fair, (16-18 March) Melbourne, Vic. John O’Brien Festival, (16-19 March) Narrandera, NSW. Read to Me Day, (19 March) International. Red Dirt Writers Week, (19-23 March) online. Emergence Creative Festival, (21-24 March) Margaret River, WA. Leading Edge Books conference, (25-27 March 2018), Hobart, Tas.